International Workplace is one of the leading providers of IOSH approved training courses in the UK and has helped tens of thousands of students get accredited. We are also one of the very first providers to offer IOSH approved short eLearning courses. We have a commitment to providing the highest level of IOSH Courses available and offer a range of options for each. IOSH qualifications are designed to raise awareness and improve the safety culture of organisations. International Workplace offer IOSH Health and Safety Training Courses that are suitable for people of all levels in every sector and any organisation. We have been providing IOSH training nationally for over ten years and are a fully approved IOSH training centre. International Workplace has been a leading provider of IOSH accredited training courses for over 10 years. The expert tutors and world class content mean our courses are of the higest calibre whether they are a taugth face to face, at one of our public courses, or via eLearning anywhere in the world. International Workplace will still be running the IOSH Safety for Senior Executives eLearning course for the foreseeable future and the certificates will remain valid indefinitley. International Workplace deliver these courses as Public Classroom, In Company or eLearning to companies and individuals across the UK, as well as on a public basis at our Executive Centre in central London, our Head Office in Cambridge and also at our partner venues in cities around the UK. 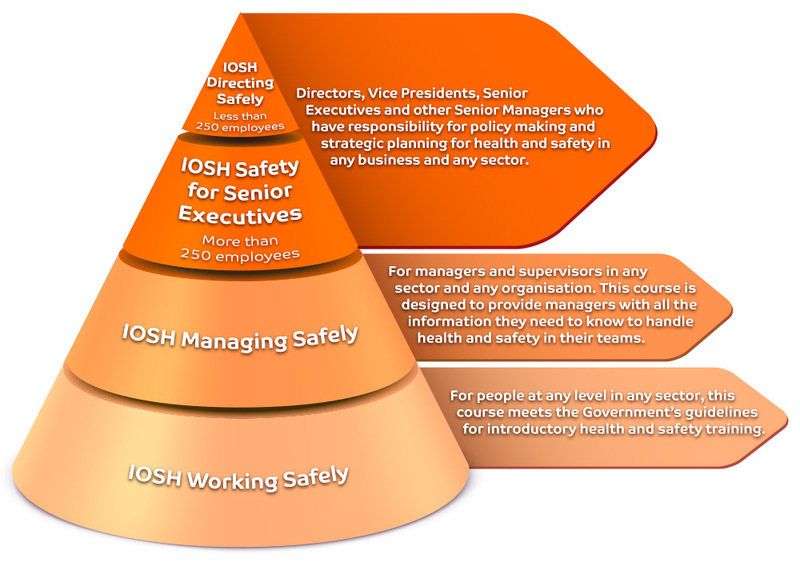 IOSH training courses reflect varying levels of Health and Safety responsibility from general employees such as the IOSH Working Safely to members of the board with courses such as the IOSH Directing Safely and IOSH Safety for Senior Executives. The duration of each course reflects the level of knowledge and details each course offers, for example the IOSH Working Safely is focused on your own safety where as the IOSH Managing Safely has more specific information about how to keep your team safe as well as yourself. As a world renowned Health and Safety body, IOSH training allows your staff, your clients, your suppliers and anyone else that is relevant to trust the qualifications they or you have achieved. If you are looking for more in depth training, for Health and Safety professionals, then International Workplace also run a range of NEBOSH accredited courses.